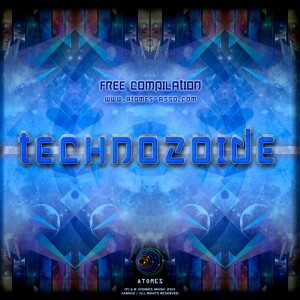 After Sign, The Journey Of The Blue Bird, and Alchemy, Atomes Music is proud to introduce a new release compiled by Pym’s for 2013: Technozoide! This time the focus is on fresh progressive energy with kick! Thanks to all artists involved around our musical vibration; we hope you enjoy it. Mastered by Charles Michaud with artwork by Shanty Avy. MP3 Download | FLAC Download | WAV Download · Download count: 12,023. This is a very nice compilation. i really enjoy and i feel it.